How Best To Manage and Remove Tonsil Stones? Tonsil stones are the result of accumulated debris and microorganisms in the crevices of your palatine tonsils. These lymphatic organs are located on either side of the back of your throat. The tonsils contain important immune cells and are responsible for trapping incoming bacteria, viruses, and other harmful particles that enter the mouth. Finding the best ways to manage and remove tonsil stones largely depends on their cause, relative size, and whether they are causing you discomfort. Many tonsil stones are asymptomatic, and therefore they do not require special treatment or management. Some individuals with this condition attempt to dislodge visible tonsil stones at home using a cotton swab. Additionally, those with occasional inflammation related to their tonsil stones often manage their condition by gargling with warm, salt water to cleanse the affected area and to reduce any inflammation. If your tonsil stones are large or are accompanied by troublesome symptoms-such as persistent inflammation, swelling, difficulty swallowing, ear aches, or chronic pain-you may require medical treatment to manage your condition. See your family doctor or an ear, nose, and throat specialist for an examination if your symptoms are causing you discomfort or pain. He or she may prescribe antibiotics to treat tonsil stones if you are also suffering from a bacterial infection. However, it should be noted that antibiotics will not remove tonsil stones themselves but will only target the bacteria that may be aggravating the tonsillar crypts. As a result, antibiotics cannot ensure the long-term removal of tonsil stones. Some medical professionals recommend surgery to remove tonsil stones instead of antibiotics, as surgery is currently regarded as the most effective way of getting rid of persistent and problematic tonsil stones. If your tonsil stones are enlarged and are making swallowing difficult, you likely will need surgery to remove the offending stones. Your doctor can perform this procedure to remove tonsil stones using a local anaesthetic. If your symptoms persist and new tonsil stones continue to form, however, your doctor may recommend that you visit an ear, nose, and throat specialist for an examination. Based on this evaluation, you may need to have your tonsils surgically removed to prevent tonsil-stone formation permanently. This procedure to remove tonsil stones is called a tonsillectomy and is conducted under general anaesthetic. This article is based on the book, “Tonsil Stones Remedy Forever” by Alison White, an ex-sufferer of tonsilloliths, also known as tonsil stones. 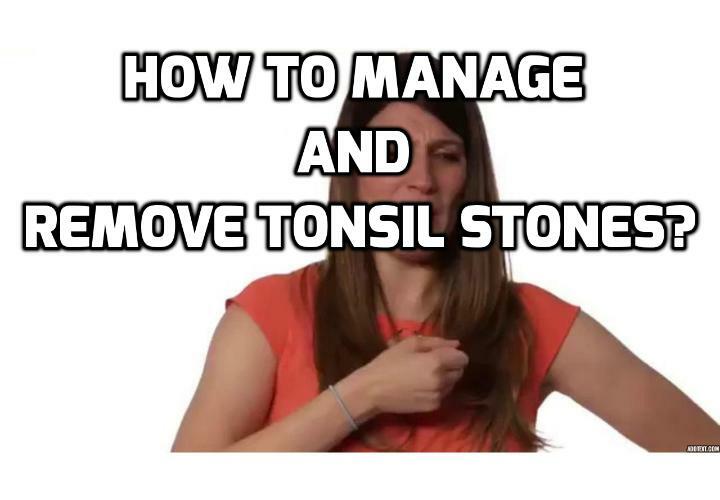 Tonsil Stones Remedy Forever is a guidebook that teaches you everything you need to know to get rid of painful, pesky and inconvenient tonsil stones without surgery. This is a 7-day schedule to get rid of tonsil stones using natural remedies that are tried, tested and proven to work. If you are ready to take control of your health and to make the right decision regarding your tonsil stones, then click on Tonsil Stones Remedy Forever. Previous PostPrevious How Do I Develop Tonsil Stones In The Respiratory Tract? Next PostNext How Best To Prevent Tonsil Stones?